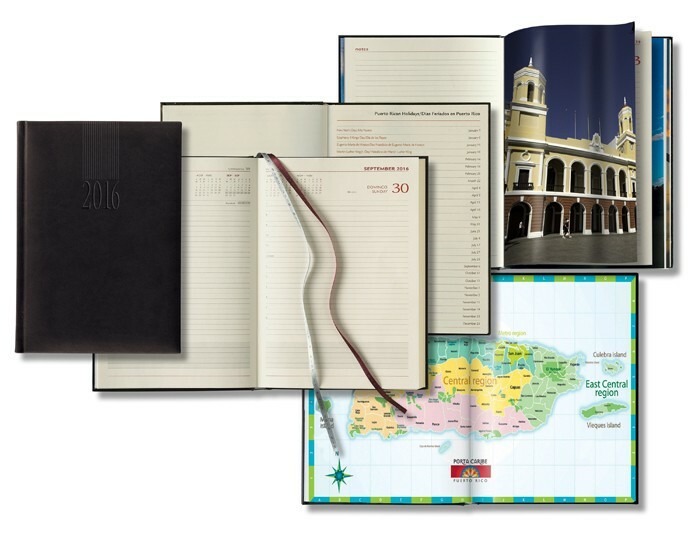 The Puerto Rico Daily Includes: 12 Full-color images of PR one at the beginning of each month, and a map of Puerto Rico at the back. 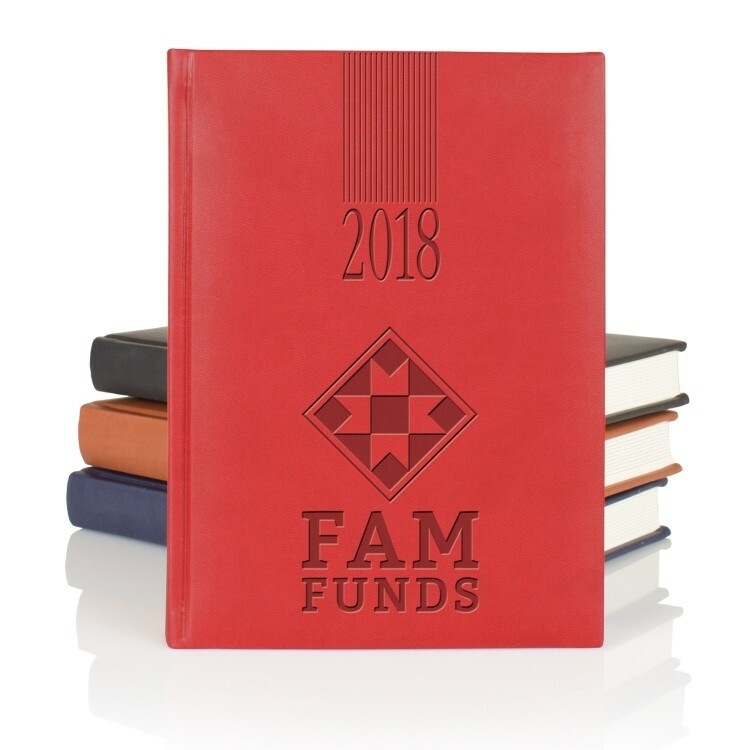 Planner includes 416 cream lined pages with time reference in burgundy and gray print. 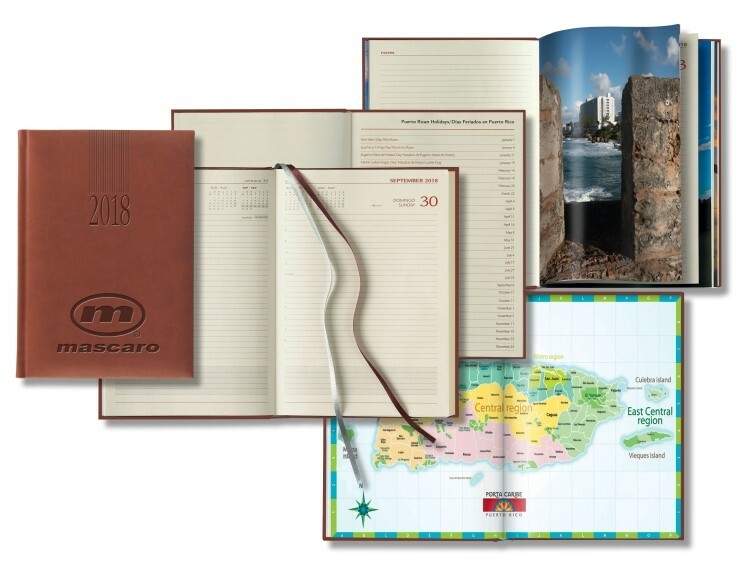 A silver ribbon marker and an extensive reference section in the back that includes USA National and International Holidays, Puerto Rican holidays, PR maps, exchange tables, and important reference lists. Our most popular cover, Tucson is a smooth soft texture that is often mistaken for leather. 5 7/8" x 8 3/8" x 1"